The Hamilton DBC was organized in 1974 as a club dedicated to introducing social bridge players to the world of duplicate bridge. 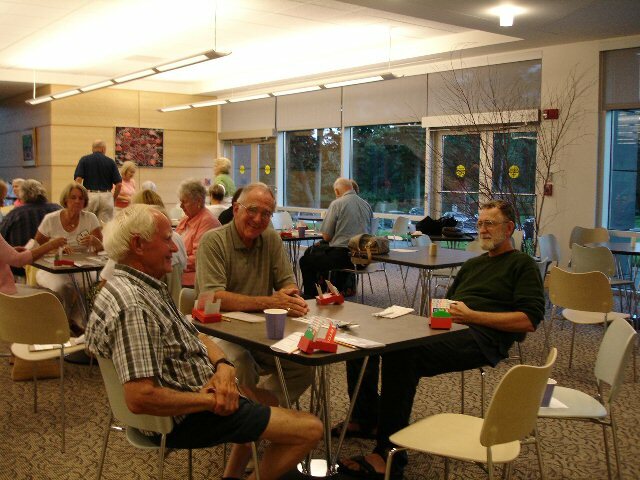 The Club began its affiliation with the American Contract Bridge League (ACBL) in 1979 as an Invitational Club and has continued to hold games each year since. Bridge games are now held at the Corporate headquarters of New England BioLabs,Inc., 240 County Road (Route 1A) in Ipswich MA, on Boston's North Shore. It is a gorgeous building and features hundreds of works of modern art in its lobbies, hallways, and the cafeteria. It is one of the most fantastic places to play in New England, Please visit us soon. Open, stratified duplicate bridge games start at 7:00 PM every Wednesday. Newcomers welcome!